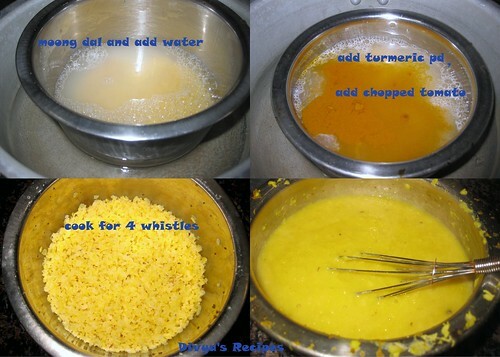 In a pressure cooker,cook the moong dal along with tomato and 3 cups of water for about 4 whistles. Once the dal gets cooked,mash the dal well.Keep it aside. 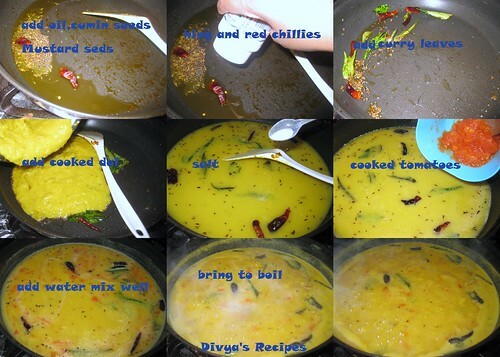 In a pan do the tempering with ghee add cumin seeds,mustard seeds,green chillies ,red chillies,hing curry leaves fry for till splutter.Then add the mashed dal,turmeric powder,tomato (tomato i cooked in microwave)and salt mix well.Bring to boil for 5 minutes.Switch off the flame. 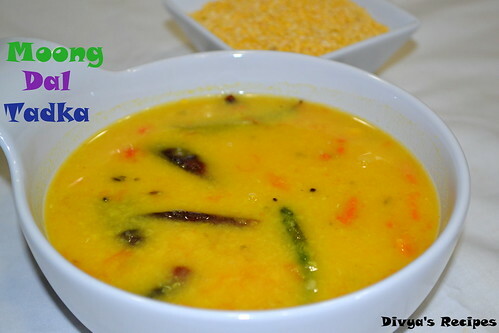 simple and comforting dhal...by the way your new header looks nice.. 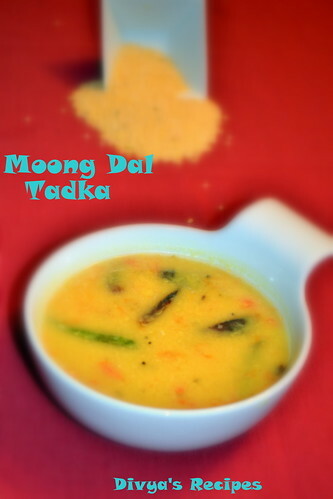 Delicious moong dal tadka Diya. Comfort dal for us.Super delicious. Simple dal - just how we like it! Delicious and healthy dal...nice looking beautiful new space. goes well with any flat bread that need dipping!!!! Dip with roti canai must be very good ! Perfect for these cold evenings. 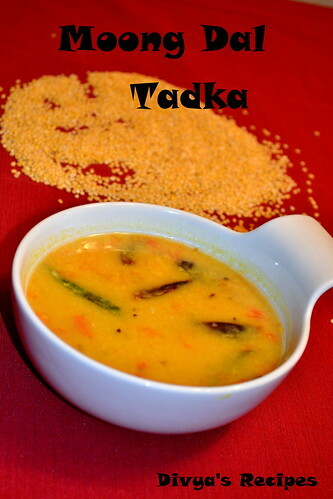 We make this dal along with boiled rice !! Veyr comforting and simple daal. Yet so delicious. Dal is my favourite .. anytime ! Dal looks very comforting dear.. Your recipe is great and all the pictures in the post are absolutely beautiful. Hello thanks for the wonderful recipe. I have a confusion. Ingredients say 1 tomato. Directions say cook tomato with dal, then later say add precook tomatoes. Am I to divide the tomato at the beginning? Can you please clarify for me? 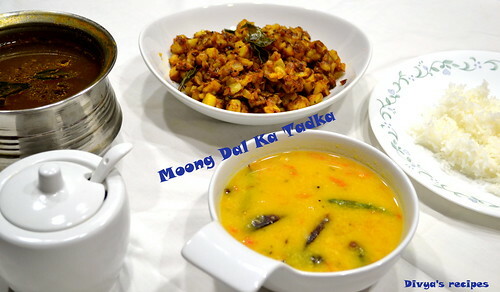 I came across your blog while looking for some moong dal recipes and liked a lot. How amazing! I will keep an eye on your post.